Nearly one billion people watched the ATP Tour remotely last year. A deal with Amazon to broadcast the main tournaments in men's tennis only on the internet from 2019 will be "one of the most successful this decade". Chris Kermode, the president of the ATP, made the claim after confirming a four-year deal that will see online channel Amazon Prime replace Sky. The deal will cover 37 ATP Tour events, including nine Masters tournaments. That excludes the grand slams and the ATP Finals, but it has been reported a deal may be struck for the US Open. "The opportunities are endless," Kermode said. "We're really trying to find ways to be innovative, creative, and be aware of the changing landscape of how people are consuming sports and entertainment and trying to get a younger demographic." Anyone with an Amazon Prime membership will be able to access the coverage on Prime Video, which gives members unlimited streaming of films and TV episodes. Members will also have on-demand access to matches, highlights and press conferences. 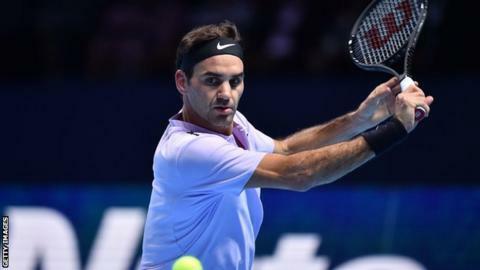 The BBC holds rights for the ATP Finals at the O2 Arena and the grass-court tournaments at Queen's Club and Eastbourne. Amazon already has a contract to show 11 NFL games per season and have been linked with a bid for when the Premier League rights are put out to tender in December.